HOW on earth did they do this? Riddim tracks are incredibly hard-hitting with insane sound design and even crazier rhythms. All of these elements together can be pretty overwhelming for many producers…and there really aren’t many resources available that show you how these tracks are put together. 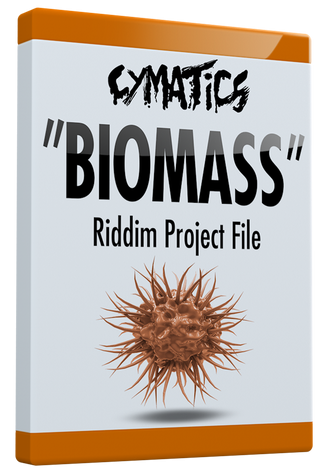 Introducing “Biomass” Riddim Project File – a high caliber Riddim heater that is one of the heaviest tracks we’ve EVER created…even our production team was blown away. The second this project file loads into your DAW, you’ll KNOW you’ve attained a gold mine of knowledge. Inspired by modern Riddim artists like Virtual Riot and Getter, Biomass is packed with processing tricks, stellar sound design, complex rhythms, and admirable mixing. Then, move on to the drop itself and TRULY understand the clever processing chains and mixing techniques that played an enormous role in making this drop as heavy as it is. Learn EXACTLY how Riddim is made and equip yourself with the tools necessary to make an epic Riddim banger of your own. Cymatics - Biomass - Riddim Project File (Ableton, Logic, FL Studio) has been exclusively released on AudioZ by deuces who chose to ask not to post mirrors.